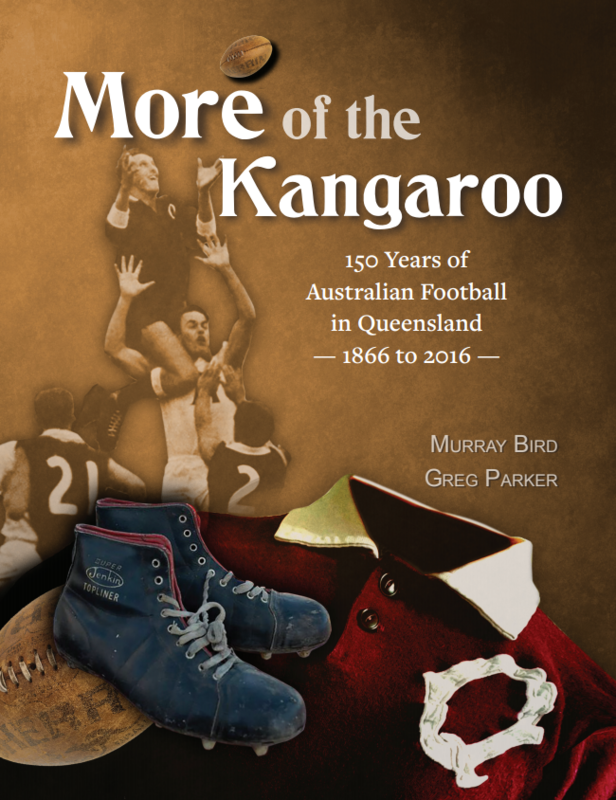 I recently obtained a personal copy of A Century of Tasmanian Football 1879-1979, which I wrote briefly about here. It’s a beauty. 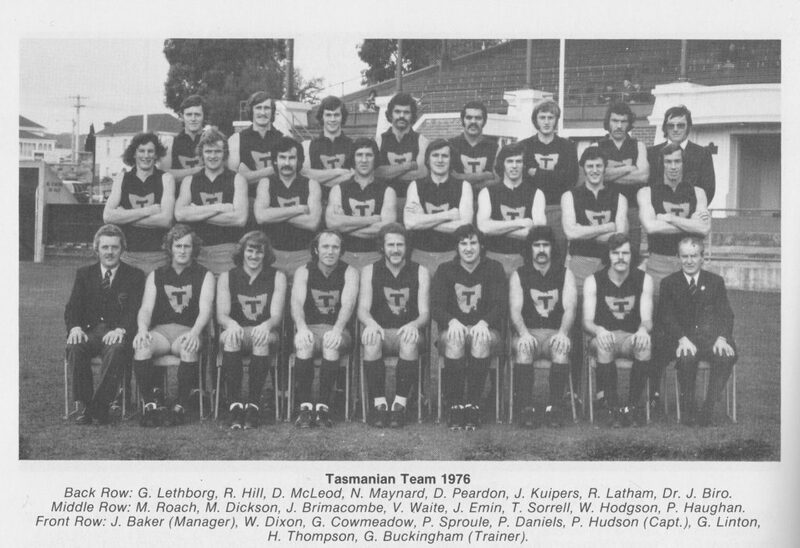 There are lots of Tasmanian Team photos included, the most recent of these were taken in 1976 and 1978. 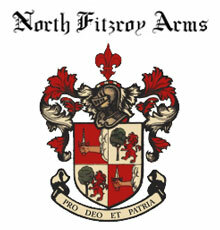 The 76 photo is the archetypal footy team shot of the era, with each row conforming to a particular stance (although ex-Central District/East Perth star Phil Haughan subtly broke ranks with his left-over-right arm folding technique). Did Michael Roach need a note from his parents to attend this shoot? And what colour were these shorts? There was much interest when I tweeted these shots out late last week, with several Taswegians (am I allowed to use that term?) making reference to players who “could’ve made it easily on the mainland”. So if you’ve got a story or a question about any of these blokes, let us know below below. Is that G Linton middle row or Dennis Lillie? Love these old photos, Swish. If we could go back to the time and place this was taken we’d smell Rice-a-Riso and Winnie Reds and could hear Jo Jo Zep and the Falcons. Thanks Smithy, Mickey and Bucko. Nice Swish. 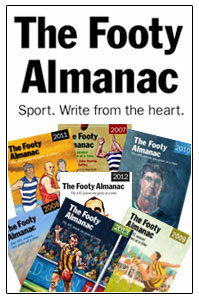 Lived in Tassie during that period and remember Sandy Bay kept knocking off Glenorchy (my team ) in Grand Finals. Dr. J.Biro looks like a cool cat. How fresh-faced does Michael Roach look before he became Disco? Interesting article that brought back a lot of memories. Thanks. 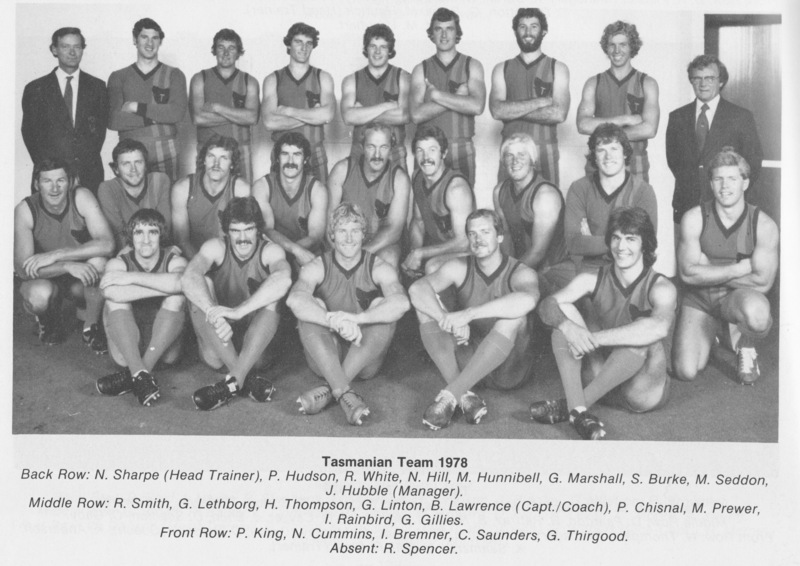 What about a photo of 1977 Tasmanian schoolboys under 16 team that won the Australian title that year, beating all the other states and territories, playing 7 games in 9 days. 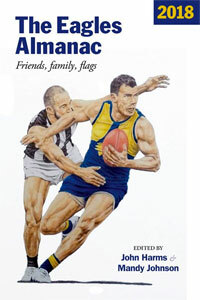 The team had 6boys selected in the All Australian team. Biro might have been the only doctor ever to have neat handwriting Phil. Yes, Garry Cowmeadow, played for Penguin. Huddo in his long sleeves, about to have the crazy year in 79. I keep forgetting he came back for Glenorchy when 35 and kicked 30 in 3 games. freak! Rainbird possibly father of the cricketer? 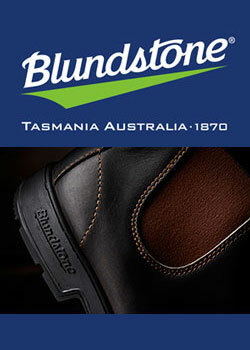 I’ve got the map of tassie in the middle strip. just need to lose a bit of autumn “condition”..